What does a Carolina Hand surgeon do for vacation? For Dr. Minkin, it’s an adventure deep beneath the earth’s surface (just a quick glance at the beautiful photos on his bio may give that away). He recently took a trip to Central America, where he and a local crew enjoyed a multi-day expedition through the Chiquibul National Park, a vast nature preserve in Belize, right on the border with Guatemala. Underneath the thick, wild and sometimes dangerous jungle in Chiquibul lies miles of underground caves, where ancient people held ritualistic ceremonies and fewer than 50 expedition members are thought to have explored—the caves are only accessible via a strenuous trek through the jungle. Dr. Minkin had been planning this trip for 10 years and finally got his chance to experience it this past year. He wrote an excellent account of his adventure, which was published in MUS Today, the alumni magazine for the Memphis University School. In it, he talks of near-misses with jaguars, perilous negotiation of massive sinkholes, and the best cup of coffee he’s ever had. 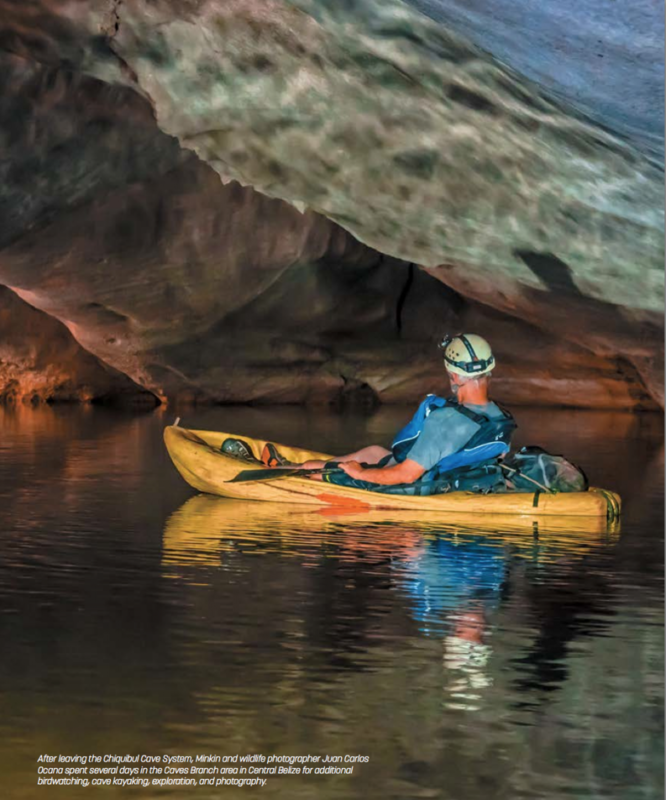 It’s a fantastic story, illustrated by breathtaking photos of the cave, taken by wildlife photographer Juan Carlos Ocana. Click to read the full story, “Into the Chiquibul,” in MUS Today.